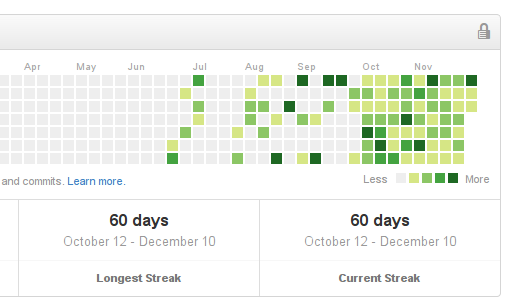 Github Longest Streak...60 days and counting! I had wondered for a while what is that grid of boxes on Github profile and what is the use of it until I read 177 days of Github. Just about the same period, I read How To Stay Focused When You Get Bored Working Toward Your Goals and How to Stop Procrastinating on Your Goals by Using the “Seinfeld Strategy”. In short, they are all about habits. But if you look at the people who are consistently achieving their goals, you start to realize that it’s not the events or the results that make them different. It’s their commitment to the process. They fall in love with the daily practice, not the individual event. In the blog post, he tells the story of a successful comedian who had written a joke every day for many years. He kept doing it. He didn't want to break the chain. I was really motivated by those blogs and started a mission. 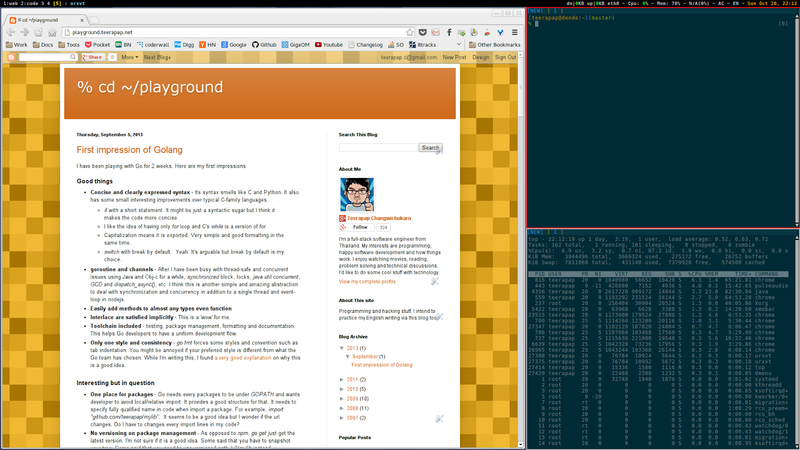 I decide to write some code every day and push them to Github. Do it as a daily exercise. Keep doing it every day and don't break the chain. These projects gives me enough amount of work to do every day. After I had done for a few weeks, I started to be afraid of breaking this chain. The deadline time for each day is at 2PM in my timezone. When I got it done for the day, I felt relieved haha. Some days I have to sleep late just to solve a problem on Project Euler because I cannot do it the day after. And now I did it. Today is the 60th day!! I just published my first Android application on Google Play. I'm usually overwhelmed with a pile of long-standing tasks in my long todo list and my energy always get drained upfront and then I procrastinate. Finally, I started developing it 2-3 weeks ago with an idea to keep it simple, focused and effective. I also want to keep iterating, gradually improving and release the application early and often. I try to ship it as soon as possible. Another goal is to learn Android application development and its components which I think I'm really late to the area. The best way to learn new technology is learning by doing. Although I tried to ship the first version as soon as I can, my habits still keep me reading all the things upfront before coding the first line. Now I understand why people often say that developing a good Android application is difficult and takes much time. After I have read Android documentation and guides and watched some I/O talks, I see that Android is quite big in term of platform. There are many components, concepts and design patterns. I just read about 15% of them. These patterns and concepts enable very much flexibility and extensibility and force some good practices and design but, on the other hand, it is difficult to get it right the first time for developers. The project is really young and I open source here. If you want to try the app, get it on Google Play. The application supports only >= 4.x by intention and only tested with my Galaxy Nexus. A month ago, I started playing AngularJS and tried setting up a working dev/testing build environment. To do E2E testing with Angular app, they recommend newly test framework called protractor. 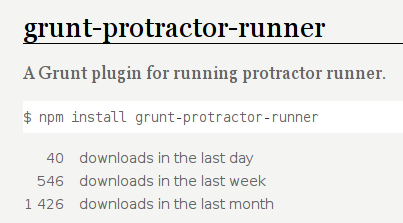 I jumped to it and it happened that there was no usable Grunt task to run protractor in the build process yet. 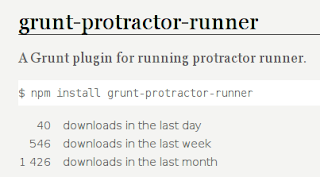 So I spent a night creating a small grunt task for myself and published it to npm registry. A few days later, I got the first pull request to add new option to the task. I was quite surprised and excited. I eagerly worked with him and merged it quickly because I know how it feel when you want your pull request to be merged as soon as possible especially a npm module. I was more surprised that I got an issue or pull request almost every day after that. I felt really great and tried to clear these issues and merge these pull requests as fast as possible.